Before diving into Augmented Reality implementation, we need a clear understanding of what we are planning to do. Every position on the surface of the Earth can be represented with two numbers: latitude and longitude. 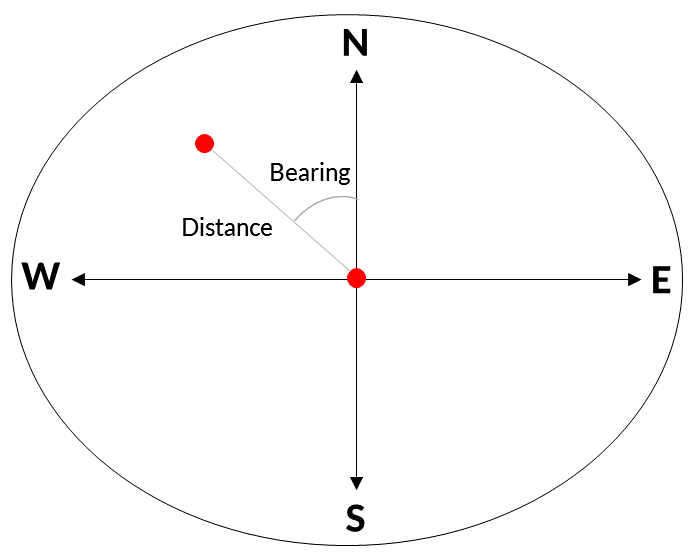 The angle between the north (or south) line of the Earth and the line connecting the current and next point, which is called bearing. Another thing to consider is that for the matrix transformation, we will have to use radians instead of degrees as angle units. As the length of the entire circumference is equal to 2π radians (360º), one radian is equal to 180/π degrees. So, our plan is when we receive the array of waypoints from Google service, using the formulas explained above, place a 3D model (or any other object) in the position of the first waypoint relative to your location inside the AR world. Then we put the second waypoint marker relative to the first one and so on. key – needed to provide Googlekey of our app. get GMSPath object waypoints as CLLocations. At this point, we have an application with the implemented Google Map display and path finding functions. We can request a path from Google service and process response to get waypoints as CLLocation. Now we can go to the main part of this work – the AR part. First, we will create a new view controller. And add ARSCNView or ARSKView (the first should be used if you want to add 3D objects to the scene, the latter is for 2D images and sprites) to display the camera and augmented reality objects. To complete our initial setup of the AR scene, we need to add the view to this scene. Now we need to import the object that will represent the waypoints on the augmented reality scene. As it was mentioned above, we can use a 3D model or 2D sprite for this purpose. In the code above we used ARSCNView and for the waypoints we will use 3D model. If you created your project using Augmented Reality Project template of XCode, then you should have art.scnassets folder in your project workspace. If you have used any other template, you need to create this folder yourself. To do that Next, open the New File dialog and scroll down to choose the Asset Catalog type. In the name field enter: art.scnassets and confirm extension changing (from xcassets to scnassets). When you have art.scnassets folder inside your project, you need to add all needed visual resources (sprites, textures, models etc) in there. Most common 3D model formats used in iOS AR applications are .dae and .obj. We need to copy our model file in art.scnassets folder. Then return to XCode, open the Scene Graph View, select the main node of your model and, in the properties tab, give it a name, which you’ll use to reference it in the code for example: ‘waypoint’. Use an identity matrix (we don’t have to use the matrix of the camera or something like that, the position and orientation of the waypoint are independent of your position and orientation). 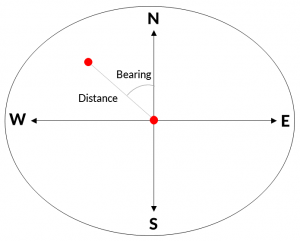 The distance is given by the z-axis, so create a four-element vector with the distance in the z position to get a translation matrix. Then we need the translation matrix to work with the distance value. let modelScene = SCNScene(named: "art.scnassets/waypoint.dae")! This AR application can be used to guide users from one waypoint to another along the whole path. It’s not a new trend in the augmented reality technology and in the mobile development in general. We have some AR applications guiding users inside airport buildings. 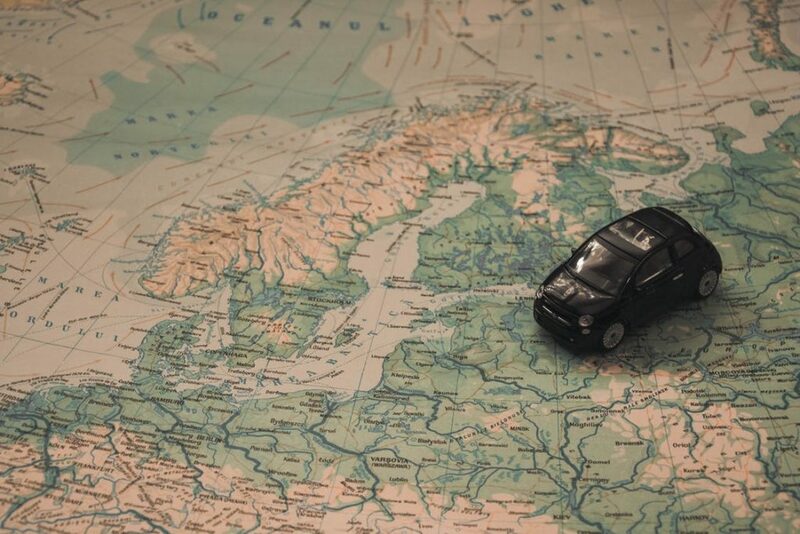 The main difference between those applications and our example is that we are using the real user geolocation and position and converting them to the augmented reality coordinates. In the current implementation augmented reality solution is not very comfortable for users. The main point of this demo is to show how to work with a real geoposition and apply it to augmented reality. To make this technique viable, we should develop this kind of application for HoloLens or Google Glass.